Methyl B12 Plus by Douglas Laboratories provides Metafolin L-methylfolate and vitamin B12 methylcobalamin in a great-tasting tablet that rapidly dissolves in the mouth. Methylfolate and methylcobalamin are the predominant forms of B vitamins commonly found in cells that do not require additional conversion in the body. 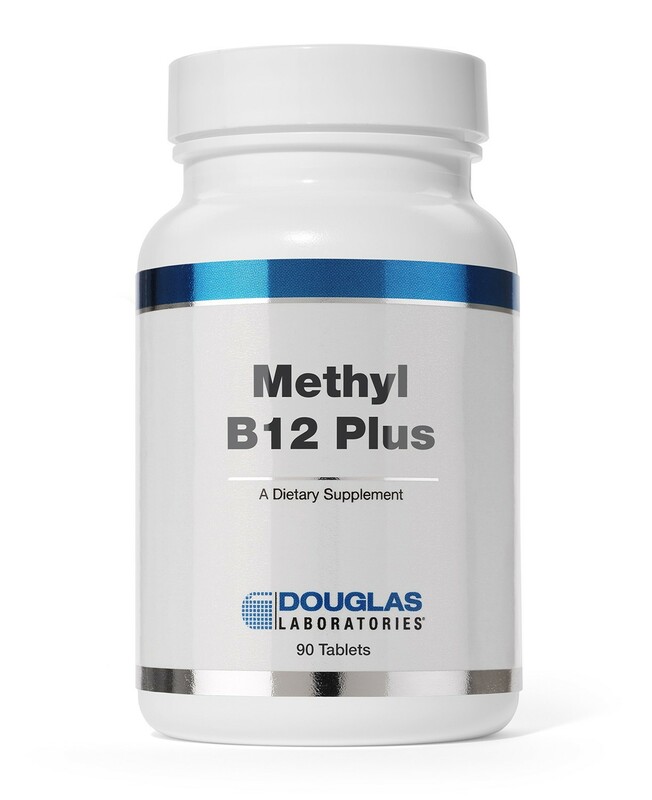 Methyl B12 Plus dissolvable tablets are sweetened naturally with xylitol and flavored with natural blackcherry and vanilla. Other Ingredients: Xylitol‚ mannitol‚ natural black cherry and vanilla flavor‚ carboxymethylcellulose‚ and ascorbyl palmitate. As a dietary supplement, adults take 1 tablet daily or as directed by your healthcare professional. Allow tablet to dissolve in mouth and then swallow. Xylitol, hydroxypropyl cellulose, natural black cherry and vanilla flavor, vegetable stearate. For optimal storage, conditions, store in a cool, dry place. (59º - 77ºF / 15º - 25ºC) (35-65% relative humidity). As a dietary supplement‚ adults take 1 lozenge‚ daily or as directed by your healthcare professional. Allow lozenge to dissolve in mouth and then swallow. If you are pregnant‚ nursing‚ have any health condition or taking any medication‚ consult your healthcare professional before using this product. Keep out of reach of children.